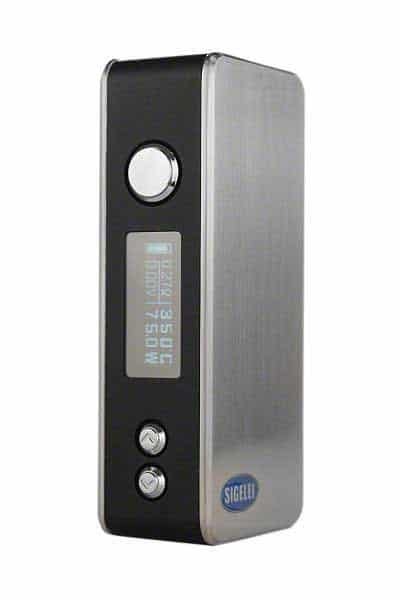 Sigelei’s first foray into the temperature control market. 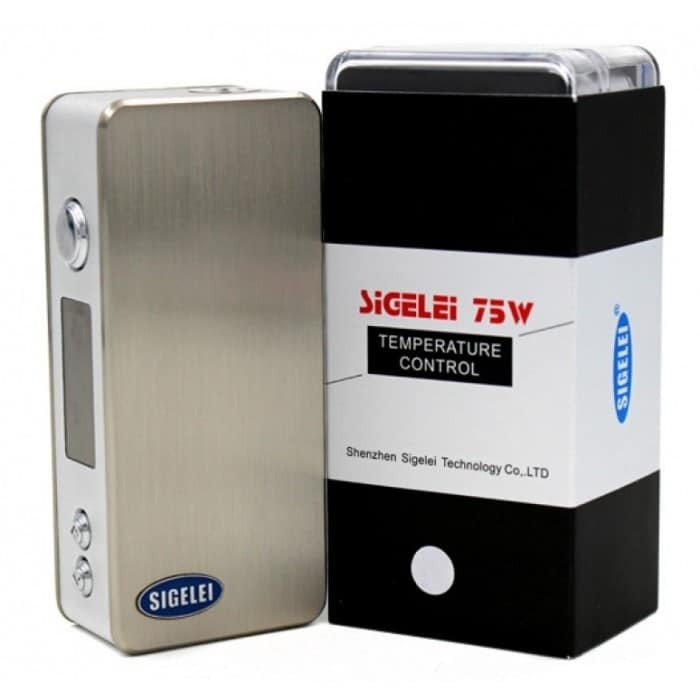 The Sigelei 75W TC offers both traditional Power Mode and an all-new Temperature Control mode. 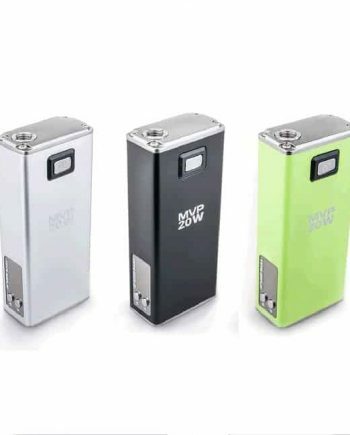 Variable Wattage Range (5w – 75w), adjustable in 0.1w increments. 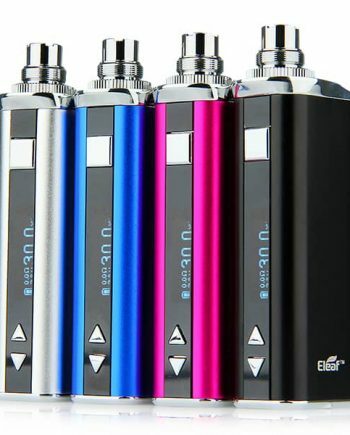 Can fire sub-ohm atomizers as low as 0.05 ohm! 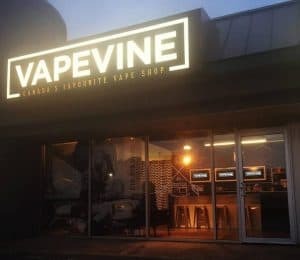 Support both Kanthal and Nickel builds. 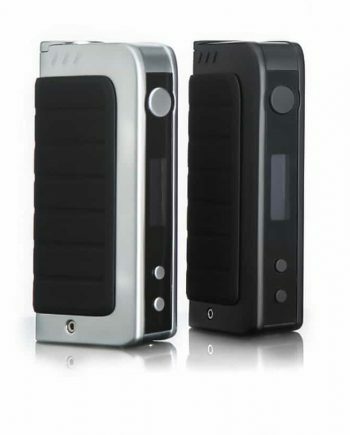 NOTE: Temperature control requires the use of Nickel Coils. Features include: Copper plated connections. Spring-loaded 510 pin. Magnetic battery panel door. Low Voltage Protection. Low Resistance Protection. Superb venting. Ohms reader. USB charging port, but not to be used as a passthrough. Silicone sleeve included. 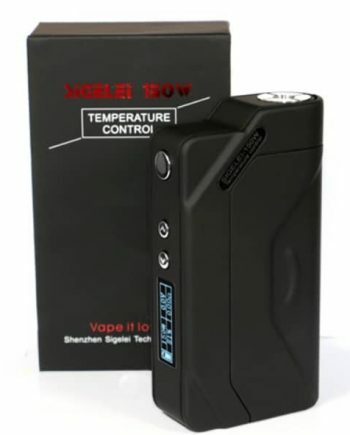 NOTE: Requires (1) ONE 18650 high drain battery, sold separately!